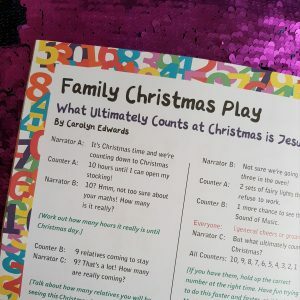 This is a fun play you can do as a family – it’s a short Christmas play based around numbers, called ‘Counting down to Christmas’. It’s not something you need to rehearse – you can just grab the book and off you go. If your family enjoys dressing up, they could make some simple costumes – tea towels are always handy! Why not download the play – it might be something you’ll find fun on Christmas Day after all the presents are opened. 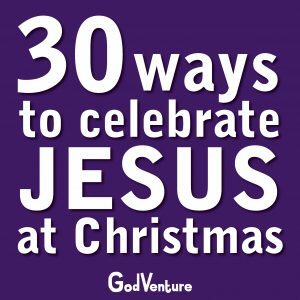 Alternatively you could use the Christmas Storybook which comes with every GodVenture Sticker Advent Calendar as all the spoken parts are in speech bubbles which makes it easy to give out parts to different people to read (and act!). We did this in our Christmas intergenerational service one year and it was a really fun way of reading the actual Bible text together.